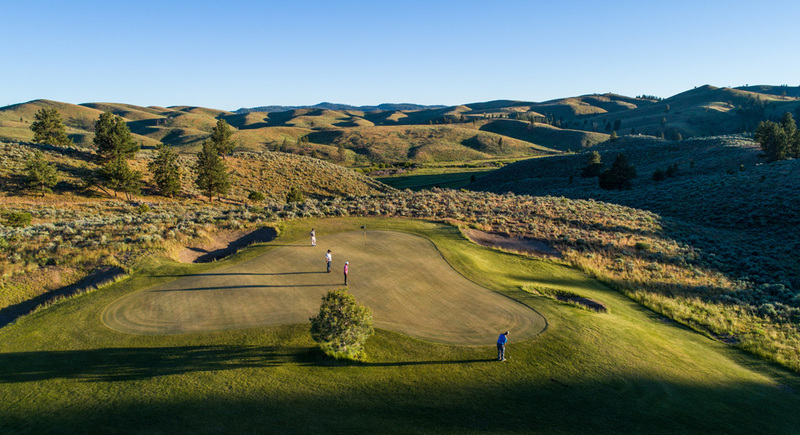 SENECA, Ore. (Feb. 9, 2019) – Following its inaugural golf season, the Hankins Course and the Craddock Course at Silvies Valley Ranch have been recognized by Golf Digest as two of the top four Best New Courses of 2018. 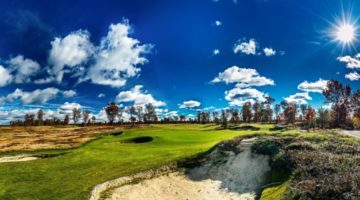 This is the first time that any property had two new courses ranked in the top-five in a single year. Silvies provides an unrivaled golf experience for players of every skill level, with four golf courses – the Hankins and Craddock Courses (the first 18-hole reversible course built by Dan Hixson), McVeigh’s Gauntlet, a stunning 7-hole challenge ridge course voted the Best New Golf Experience by GOLF Magazine, and Chief Egan, a mountain meadow 9-hole par 3 course. Silvies is already known as a swank western destination with outdoor adventures such as horseback riding, bicycle trails and pistol shooting, gourmet food and the largest scotch collectionin 14 counties. Sean Hoolehan. past president of the Golf Course Superintendents Association of America, joined the Silvies’ agronomy team this year and found a superintendent’s dream. 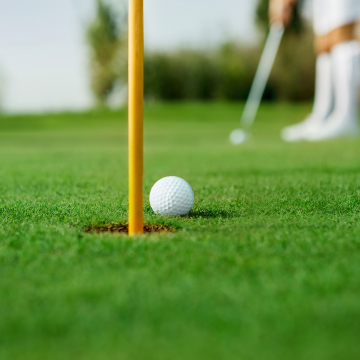 Silvies is open year-round and just recently launched a new winter golf experience for its guests called Cool Golf, which incorporates tennis balls and oversized cups. The retreat also recently opened the Rocking Heart Spa, a brand new 17,000 square-foot facility that features luxurious single and couples massages, treatment rooms, a manicure/pedicure salon, steam saunas, indoor and outdoor hot tubs, a half-Olympic length lap pool, the latest in fitness equipment, an indoor rock-climbing wall and relaxation room. In addition, guests at Silvies can also enjoy a wide array of winter activities, including snowshoeing, ice fishing, Clydesdale sleigh rides, and cross-country skiing. Silvies indulges guests with downhome western ranch service and top of the line food and amenities for those looking for once in a lifetime adventures on and off the golf courses.